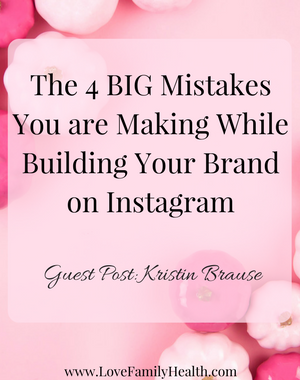 Social Media and Branding 2 - Love. Family. Health. 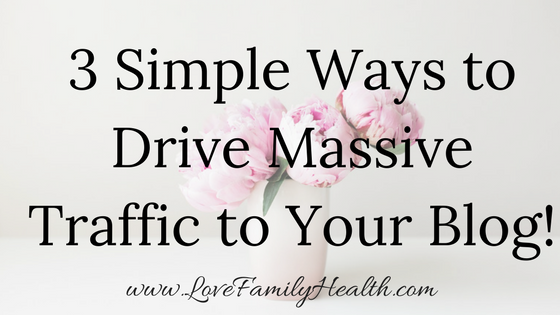 One of the main reasons you’re not getting any traffic to your site! Your guide to growing your blog and increasing your traffic with Facebook Groups! 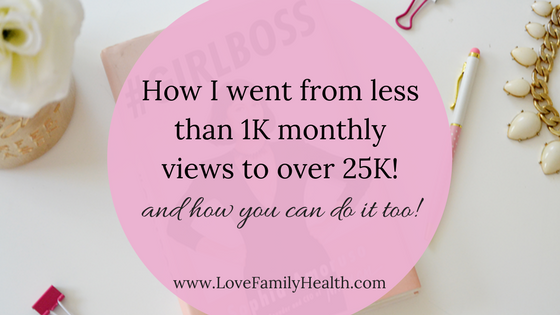 How I went from less than 1K monthly views to over 25K! And how you can do it too! 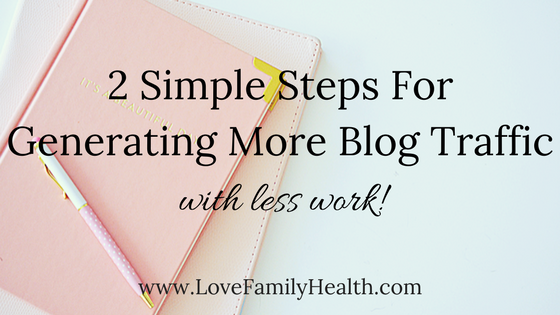 2 Simple Steps For Generating More Blog Traffic With Less Work!